Welcome to Elope in Italy web site! In our pages you will find some tailor made packages and experiences for the couples who are ready to go. However our wedding planners will be happy to create and customise a tailor made Italian experience on your tastes and needs. 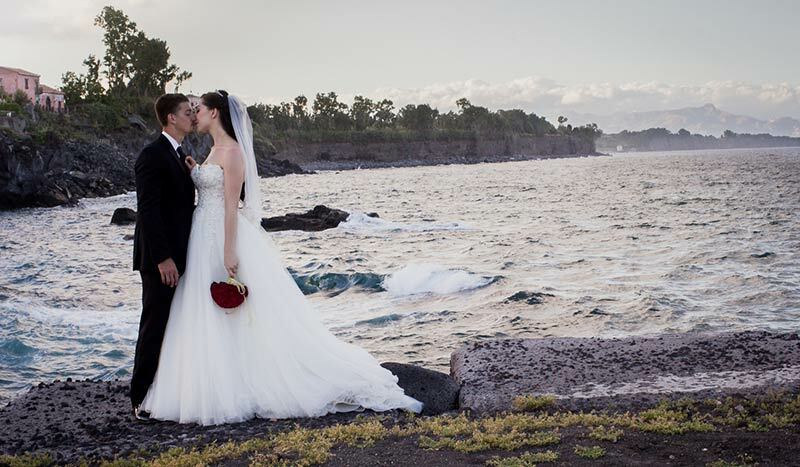 They will also happy to help you for your honeymoon planning in Italy side of the wedding itself. We are part of Italian Wedding Company group. All our elopes are created and designed for the couples who dream about eloping with a destination wedding in Italy. If you are looking for a romantic, simple, but also fun and fresh elope in Italy do not hesitate to contact us and we will please to make your dream come true! Eloping in Italy is dream! 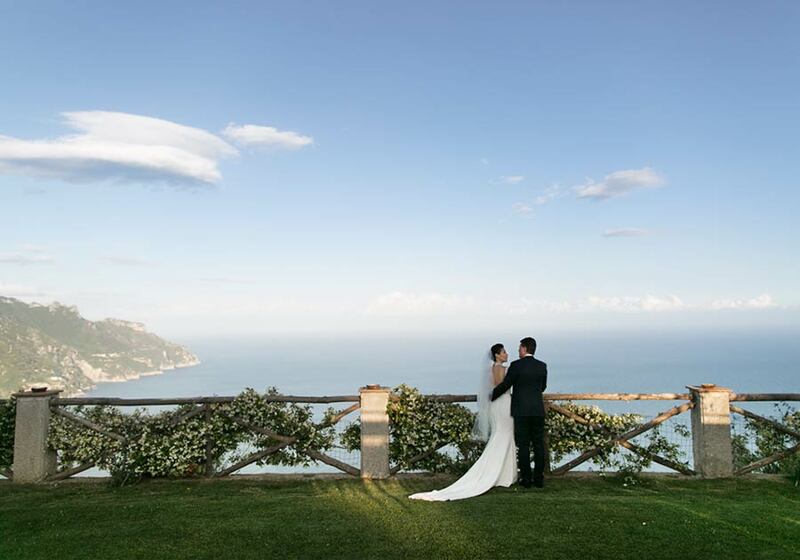 There are wonderful destinations and landscapes Italy that are simply ideal for an elope. Italian Lakes are incredibly romantic! 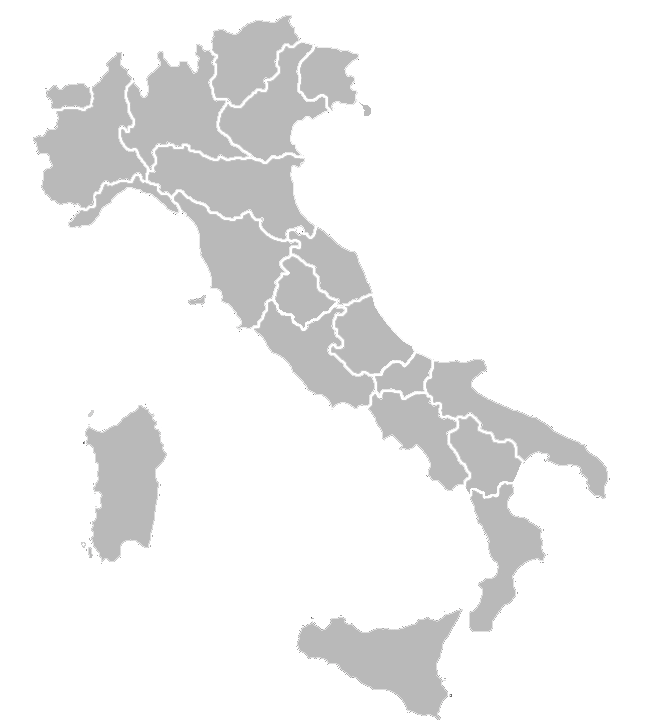 You can choose Lake Como, Lake Garda, Lake Maggiore, smaller Lake Orta, Lake Trasimeno close to Tuscany or Lake Bracciano close to Rome. 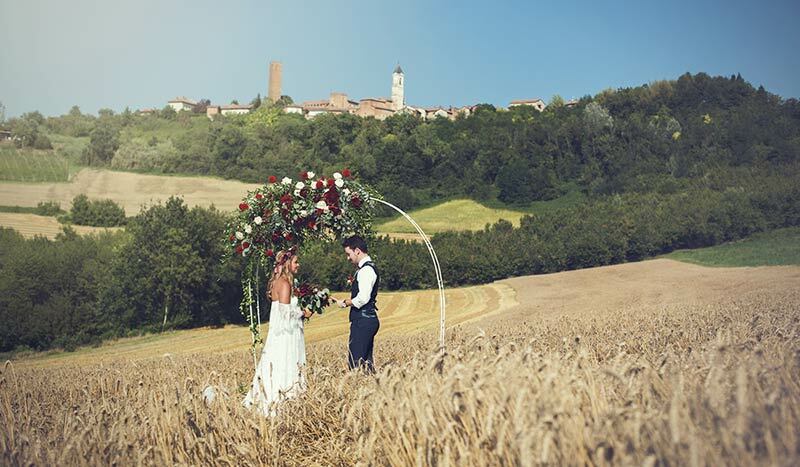 If you love the natural views over hills, vineyards and breathtaking sunsets you can opt for an elope in Italian Countryside like Piemonte vine hills of Barolo or Barbaresco or famous Tuscany and Umbria. 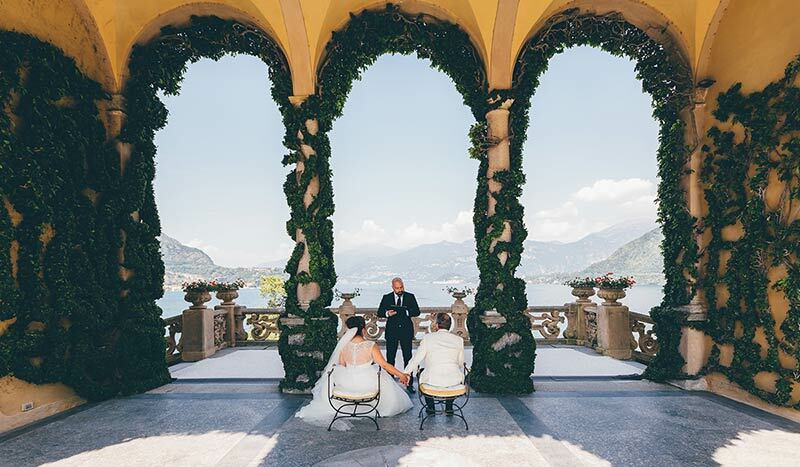 You can also choose off beaten track country wedding destinations such as Valpolicella in Veneto region or Franciacorta countryside close to Milan. Southern Italy will welcome in Apulia countryside… get married Trullo or inside an ancient Masseria and its olive groves! And what about Italian seaside? 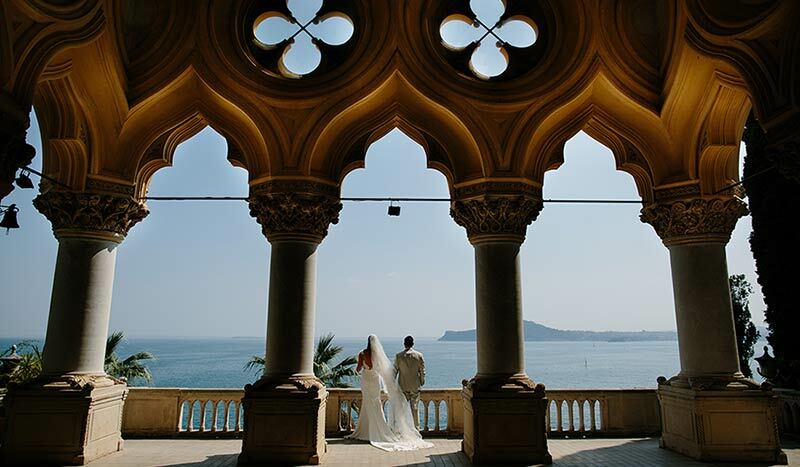 A wedding for two on Mediterranean sea on Amalfi Coast, Apulia seaside or enchanting baroque Sicily! If you are a winter lover you can elope to the Alps for a winter wonderland romantic wedding on the snow in Piemonte Alps or Dolomite Alps in Trentino and Sud Tirol! City of arts can be another perfect choice for your elope in Italy. 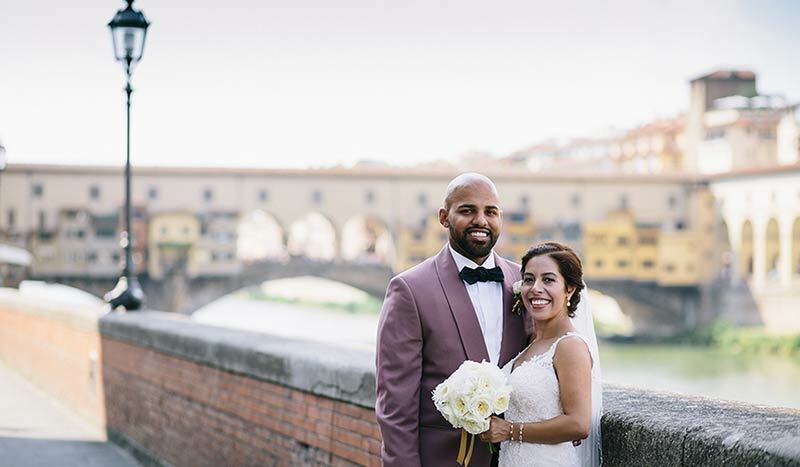 Many couples chose Rome, Venice or Florence but side of them we can suggest also less known cities of art where your romantic wedding for two could be just a dream. Choose among our Bella Italia destinations! Lake District, Rome, Venice, Firenze or enchanting Italian Countryside. You can opt for Amalfi Coast, Apulia or Sicily or event Italian Alps for a winter elope! This is our basic experience. You can find there all essentials for an intimate elope in Italy. 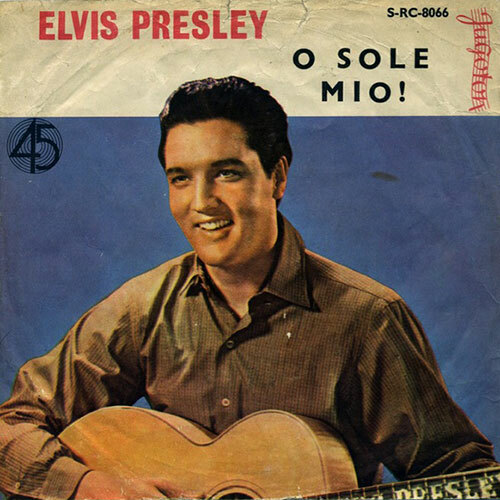 Package is named after one of the most Italian song: O Sole Mio. This is one of the most wanted package for a special Elope in Italy. 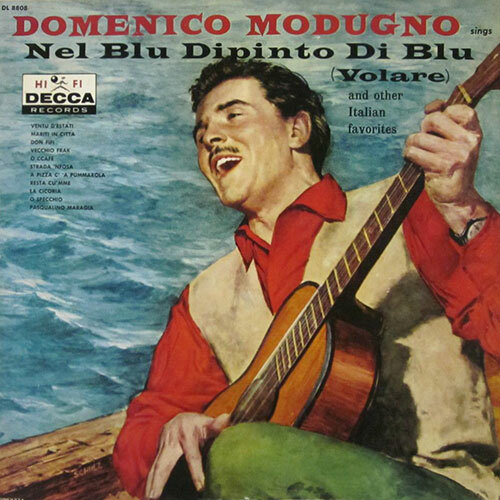 Package is named after Volare song by Domenico Modugno from Polignano a Mare. An Italian Icon. This experience is one of our couples’ most favorite for the good cost-services effectiveness. 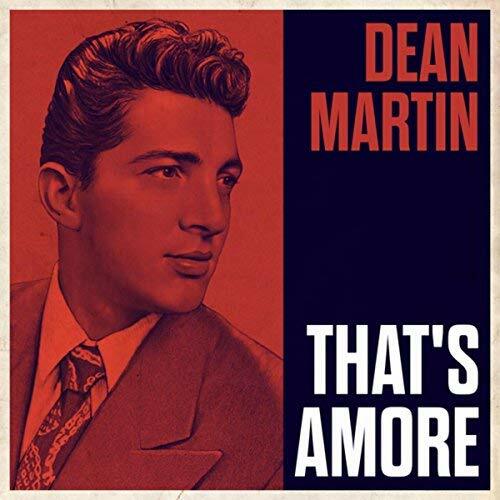 Package is named after That’s Amore song by Dean Martin. 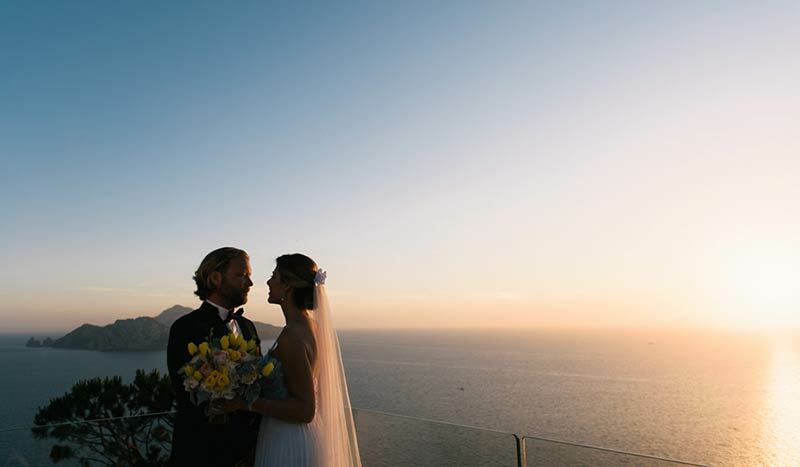 If you are looking for Italian seaside for your special Elope in Italy you can choose enchanting Amalfi Coast. 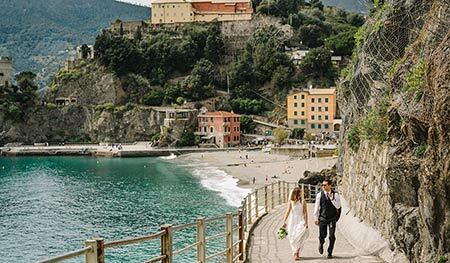 You can elope in Positano, Sorrento, Ravello and dreamy Island of Capri. If you are looking for amazing beaches or romantic views over Mediterranean sea Apulia is the elope destination for you. A land full of charm and romanticism. Florence, Tuscany, a perfect destination for your romantic elope! Florence is the cradle of Italian art and language and you will appreciate all its poetry! Here you can breath a traditional Italian and Mediterranean atmosphere. 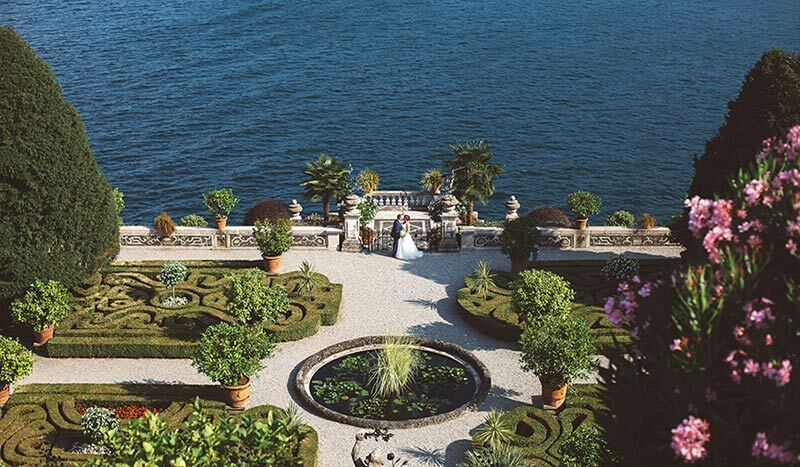 Lake Garda could be the perfect destination for your elope in Italy. 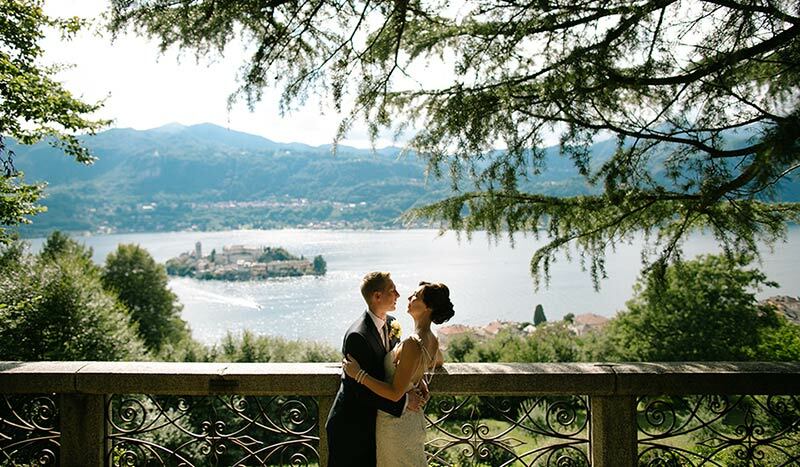 If you are looking for chic Lake Maggiore is your elope destination! Belle Epoque style is going to enchant you. Eternal city of Rome is one of the most wanted elope destination! Eloping in the cradle of civilisation and enjoy a Roman Holiday is magic! Nature, art, culture, music, architecture and good food blend here to create a special mix that will make your Sicilian wedding just magic! Venice is one of the most amazing and unique city in the world and choosing it for your romantic elope in Italy can be just a dream coming true!